In short, CAMRA LocAle is about consumer choice, local jobs, supporting a sustainable environment, creating local distinctiveness and promoting local pubs. The CAMRA LocAle scheme was created in 2007 by CAMRA's Nottingham branch, who wanted to support their remaining local brewers following the demise of local brewer Hardy's and Hanson's. That they will endeavour to ensure at least one locally brewed real ale, as defined by the local CAMRA branch, is on sale at all times. Only real ale, as defined by CAMRA, can be promoted as a CAMRA LocAle. Where the standard of real ale sold falls below an acceptable quality, accreditation will be withdrawn. Accreditation can be withdrawn at any time at the discretion of the local CAMRA branch. Should accreditation be withdrawn, or should the licensee withdraw from the scheme, all publicity material must be removed from the pub and the licensee must cease using the CAMRA LocAle logo. Before launching your CAMRA LocAle scheme, Northamptonshire CAMRA have voted on the area that we classify as Local. We have set 30 miles from the pub as our range; therefore if you want to be considered for branch LocAle status please contact us. Q How do you measure the distance between brewery and pub? A The distance should be based on shortest driving distance. This can be easily calculated by using website route planners, such as AA Route Planner and RAC Route Planner. Q Can real ales from regional or national brewers be counted as local? A Yes. If they are brewed within what your Branch determines as the local area, real ales from regional and national brewers should be counted. 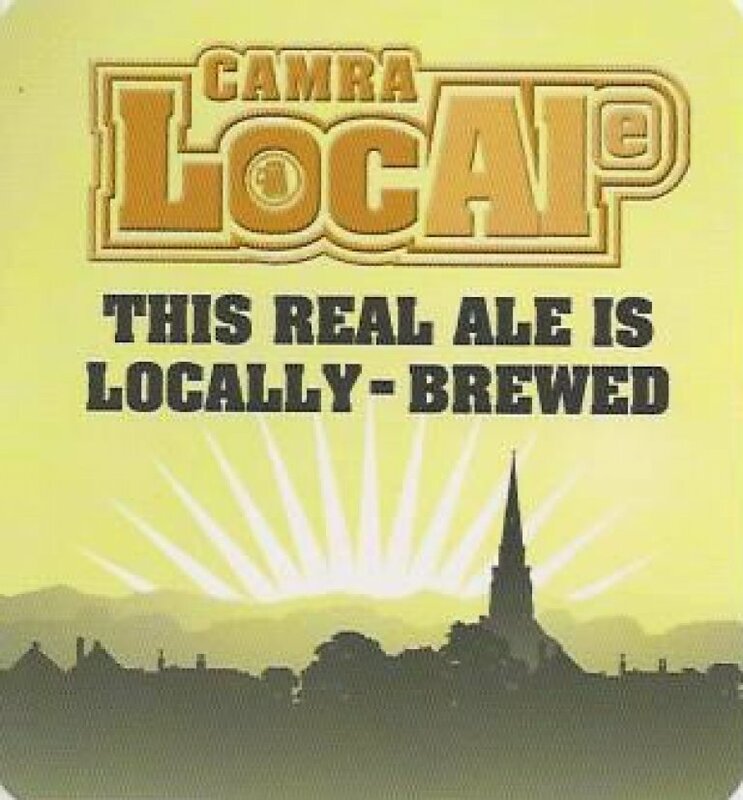 CAMRA LocAle is about promoting local real ales regardless of the size of the company that brews them, or the location of the company's headquarters. Q Can we use criteria other than distance between pub and brewery (for example, County boundaries or other areas, or measuring from the centre of the branch area)? A This is not generally recommended as it may create anomalies which could make the scheme harder for pub-goers to understand - particularly between adjacent branches; for example, where there are breweries just over a boundary that may be excluded, or breweries are located at one end of large branch areas, which are a long way from pubs at the other. The key point to remember is that the brewery should feel local to customers buying the beer in each participating pub. Q What if real ale from a brewer is delivered 50 miles away to a distribution centre before being delivered back to a pub only ten miles away from the brewery? A Because the brewery is local to the pub, then the real ale still qualifies as a local real ale. Encouraging more pubs to serve local real ales is the first step to reducing "beer miles". As licensees become more familiar with their local breweries, they will be more likely to arrange direct delivery. Q What about licensees who are prevented from stocking a local real ale by their lease or tenancy agreement? A Many licensees are still prevented from selling a local real ale because of restrictive lease agreements that require them to only purchase real ales from a central list. The situation however is improving. The Society of Independent Brewers' (SIBA) Direct Delivery Scheme (DDS) allows an increasing number of Punch Taverns, Enterprise Inns and Admiral Taverns lessees the option of stocking a real ale from a local brewer. Q What happens if a CAMRA LocAle pub does not have a local real ale on sale? A If at least one local real ale is not regularly on sale, then the local CAMRA branch would need to consider whether the accreditation should be withdrawn. The objective of the CAMRA LocAle scheme is to ensure that all accredited pubs have a minimum of one local real ale on sale at all times. There may, however, be times where this is not possible due to the local real ale selling out faster than expected, or because the cask is being changed. For more information, download the LocAle Leaflet here.